Global variable frequency drives (VFD) innovator and manufacturer, Invertek Drives, has announced it is strengthening its presence in North America with a new US headquarters near Chicago. 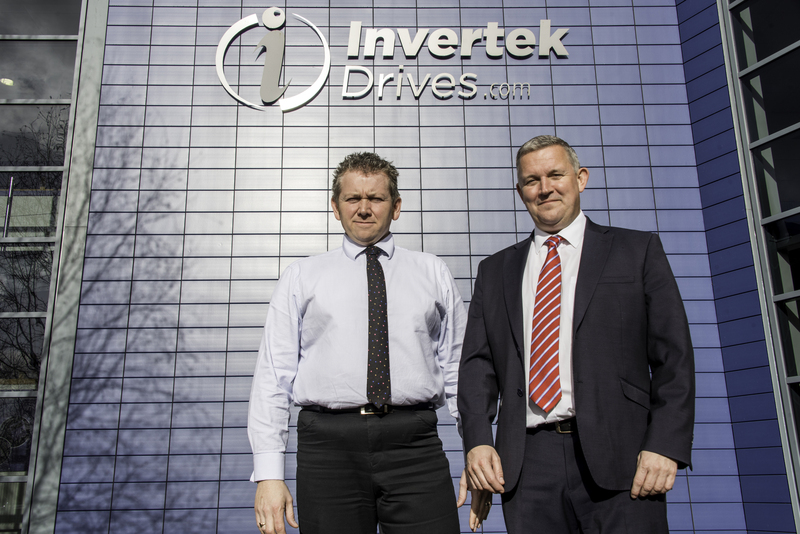 Recognised as one of the main global innovators in easy to use VFD technology, UK-based Invertek Drives has promoted its Global Sales Manager, Wayne Morris, to Vice President of Invertek Drives USA and recruited Pete Roberts as Sales Manager. They will be based at new offices and a distribution centre in Libertyville, Illinois from where they will work with existing US distributors and Sales Rep Groups, as well as expanding and developing the US network. Dedicated technical support is also being provided for its customers in the US, accessed through a toll free number – 888-862-5695. Last year, Invertek manufactured its one millionth drive and has embarked on a multi-million investment into the expansion of its innovation and manufacturing headquarters in Wales, UK with a 5,500sq m state-of-the-art drives manufacturing centre being opened in late 2018. It will have the potential to produce more than 400,000 drives a year once opened, supplying its global network in over 80 countries throughout Europe, the Americas, Far East, Australasia, Middle East and India. Invertek focuses on key sectors supplying industries involved in HVAC, pump control, elevators, solar pumps, compressors, general automation, marine and industrial burners. Its easy to use VFD Optidrive range, including the new Optidrive E3 IP66 rated outdoor drives, are recognised as leaders in the field. It has also developed the OptiTools Mobile smartphone app, as well as the OptiStick Smart for commissioning and monitoring its drives, reducing installation and down times.